Make Meow Mix relevant to the modern cat/owner relationship. Meow Mix Catstarter is a Kickstarter-style platform for cat-specific ideas. Starting with three innovations, we let the Internet choose which project deserved to be made. Visitors could even submit their own Catstarter ideas. 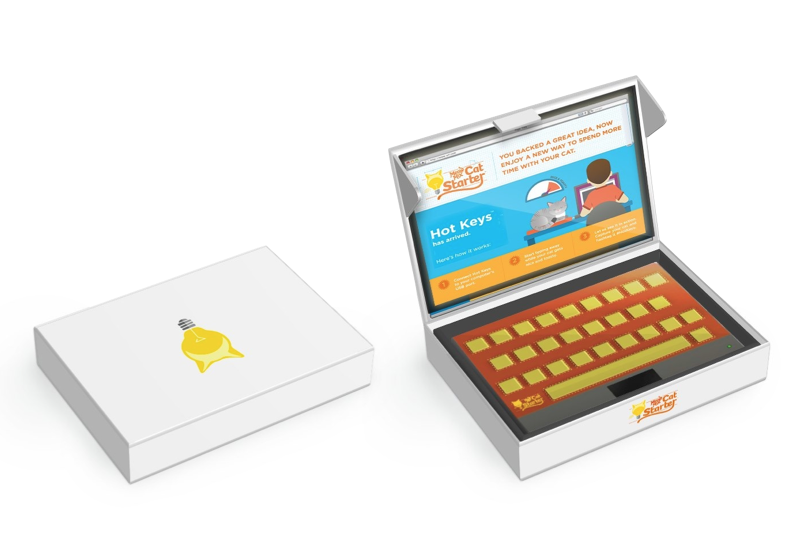 Once the Internet has spoken, Meow Mix began producing the winning idea - Hot Keys - and those who backed it with their likes and shares had a chance to win one of hundreds of prototypes we built. The site garnered thousands of likes and shares, reestablishing Meow Mix as a leader in cat food and deepening the bond between cats and owners. I'm allergic to cats.